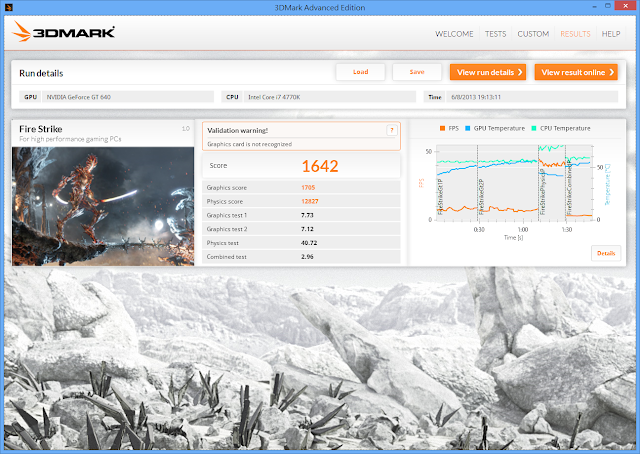 Here I want to introduce the difference between two version of the low-end graphic card from Nvidia, the GeForce GT640 DDR3 and GDDR5 variant, the graphic card on test is Inno3D done by hkepc. 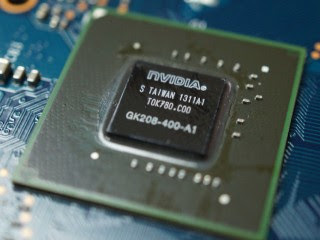 The GT 640 GPU is a "GK107-301-A2" code named built using 28nm processes, the GDDR5 version use the "GK208-400-A1" GPU with same CUDA cores 384 CUDA and GPU core from 900MHz up to 1046MHz. Bellow a benchmark result under 3DMark 2013 and TombRaider comparing the GeForce GT640 DDR5 Vs DDR3 and the onboard Intel HD Graphics HD4600.